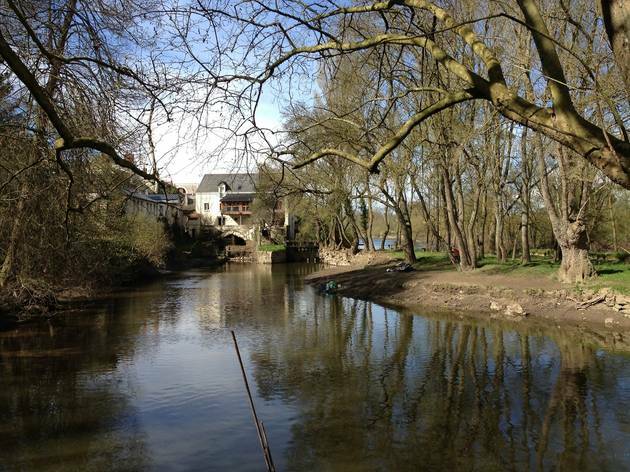 This picturesque village lies a little way west of the main town; easily reached by car or bus in around 15 minutes, if you have time it's best to meander along the river Thouet on foot, a Loire tributary easily reached from the Pont Fouchard to the south of the city centre. Meandering through wooded parks and bordered by fields and meadows, it's an idyllic picnic spot and walking or cycling route. Easily signposted from the town centre, numerous local wine cellars are dotted along the Rue Léopold Palustre. Many of them include excellent restaurants (particularly at Veuve Amiot, where meals are served in an original cave kitted out with long trestle tables and accompanied by fresh local bread). Professionally run tasting tours are also available at Château Langlois, Bouvet-Ladubay and Ackerman wineries. If you don't make it to Saint-Hilaire-Saint-Florent for tastings, numerous wine boutiques dot the city centre and will be able to guide you to the best local vintages. You can also try a good range of them by the glass at Bistrot de la Place before loading up your luggage with bottles. Also in Saint-Hilaire-Saint-Florent, there's the delightful mushroom museum, the Musée du Champignon, where you can learn about the region's proud history of wild mushroom harvesting, and visit the dim, cool, compost-heavy working mushroom farm. A little further (best reached by car or taxi if it's your main goal) is the world-famous Cadre Noir cavalry school, who even performed for the Queen on her last visit to France. They also frequently giddy up in the Grand Manège (arena) just outside the city centre, showing off French riding techniques to the general public; and in May, July and October, there are often special public galas with displays set to music.